2018 was an extraordinary year for the hydrogen and fuel cell industry. We saw incredible developments that prove the shift to zero-emission transport is accelerating. I’m excited to share my countdown list of the top 5 developments in the industry relating to transportation applications in 2018, along with my predictions for 2025. It’s clear that the theme of electrification (battery electric, fuel cell electric and hybrid/range extenders) is growing stronger. Many global automotive OEMs are investing in electric cars, including hybrids, battery electric and fuel cell electric. Consumer interest in zero-emission cars is accelerating. These market segments are now bracing for a shift away from pure diesel vehicles into alternative powertrain systems. Buses, drayage trucks and regional trains are examples of market segments that are still dominated by diesel powertrains. Change is being led by local governments and cities in Europe, China and California, which are indicating plans to limit or ban diesel vehicle usage. Transit operators and truck fleet operators (such as UPS, FedEx, Budweiser, Pepsi and IKEA) are also becoming increasingly interested in zero-emission vehicles. Many bus OEMs, truck and train OEMs and diesel engine manufacturers are now seriously considering their electrification strategies. The Hydrogen Council welcomed an additional 14 members in 2018. 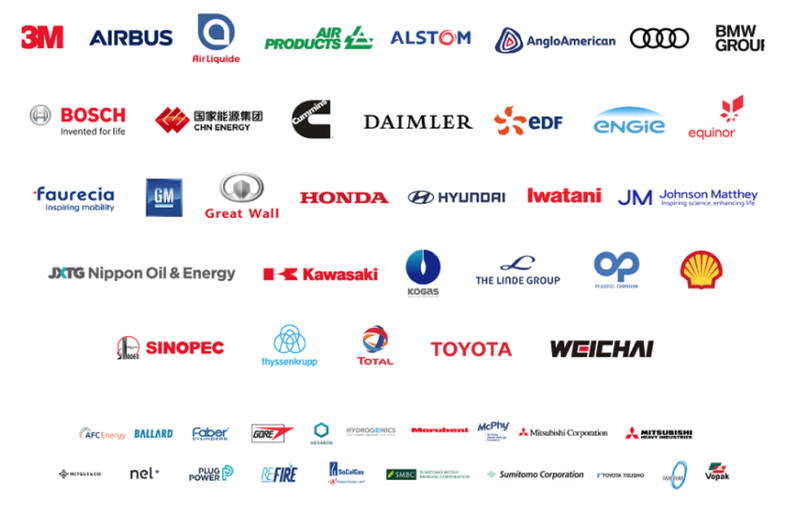 The Hydrogen Council is a global CEO coalition for hydrogen and fuel cell technologies, bringing together an impressive group of 53 leading energy, transport and industry companies, accounting for 3.8 million jobs and €1.8 trillion in revenue from across 11 different countries. The rapid expansion of the Hydrogen Council in 2018 reflects surging interest in global hydrogen and fuel cell deployment. The global automotive market is a large market. It is estimated that there are 80 million cars sold each year globally. This market has long been held as a very attractive prize for PEM fuel cell technology. Progress to date has been slow. Until now. We estimate that there are currently over 10,000 fuel cell passenger cars in the market. The cars are primarily from Toyota, Hyundai and Honda. They are primarily deployed in California, Japan and Germany, where clusters of fueling stations have been built out. As of January 1st, 2019, there were 5,899 fuel cell cars on the roads in the United States, almost all in California. There were 39 retail hydrogen fueling stations open in California and another 25 in development. In Japan, there are over 2,500 fuel cell cars on the road and just over 100 fueling stations. Germany has 50 fueling stations in operation, along with more than 50 in planning. With over 10,000 fuel cell cars now operating in real-world conditions, consider the challenges that have been overcome, the learnings that have been captured, and the progress that has been made. public hydrogen refueling stations (including setback requirements, compressors, storage tanks, dispensers, fueling protocols, etc.). Notably, the fuel cell cars are operating very well. Vehicle range is from 450 km to 750 km. Refueling time is 3 to 5 minutes. Tailpipe emissions are zero. With these learnings, and with the continued disruption in the automotive industry (including autonomy, connectivity, electrification, and share mobility), we see a pathway where the market accepts that fuel cell passenger cars uniquely provide the best of both worlds – performance, range and refill time similar to combustion vehicles, and the quiet operation, zero emissions and power of electric drive. 2018 was also marked by key announcements by automotive OEMs. Hyundai announced that it will invest almost $7 billion into fuel cell vehicles. 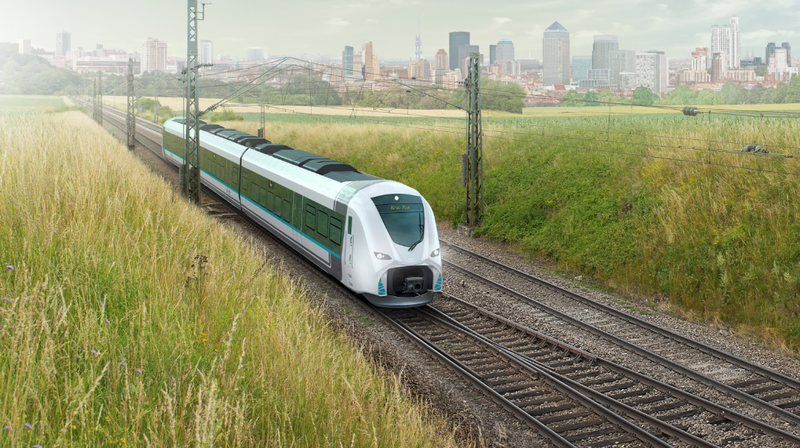 Daimler announced the small series launch of its GLCF-CELL vehicles to selected customers in Germany. Audi also announced the next stage of its investment in fuel cell passenger cars, including the planned launch of its small series fuel cell cars. The Hydrogen Council has set targets of 1 in 12 passenger cars sold in California, Germany, Japan and South Korea to be FCEVs by 2030 and a total of 400 million fuel cell electric passenger cars by 2050. Clearly, by global automotive standards, the deployment of only 10,000 vehicles is like a tiny raindrop in an Olympic-sized pool. However, as clearly demonstrated in 2018 and the vision forward, the milestones are intensifying. Let it rain! 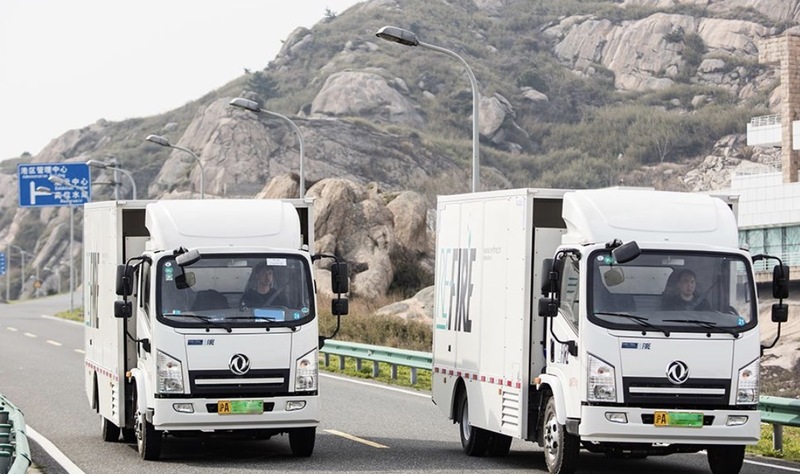 In 2018, China became the global leader in the commercialization of FCEVs in medium-duty and heavy-duty motive applications. We estimate that around 1,500 fuel cell trucks and buses are currently integrated and permitted in China. There are currently 75 distinctive fuel cell vehicle models published on China’s MIIT Promotion Catalogue. (A fuel cell vehicle model needs to be on this list to qualify for national subsidies.) We estimate there are currently 21 hydrogen refueling stations (HRS) in service, with another 41 under construction. In June, the Hydrogen Council convened an important meeting in Beijing – the Hydrogen Industry Development Innovation Forum. Co-organized alongside EV100, Hydrogen China, and the International Hydrogen Fuel Cell Association, with support from the United Nations Development Programme, more than 400 stakeholders took part in a productive exchange on the status of hydrogen deployment in China and beyond, and explored new areas for collaboration. Importantly, Weichai Power – the diesel engine and powertrain giant based in Shandong Province, China – entered the fuel cell industry, including its $163 million strategic equity investment in Ballard and the creation of a Weichai-Ballard joint venture in China. 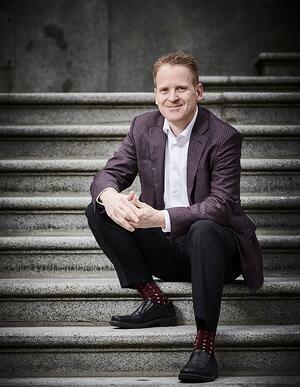 Stay tuned, as 2019 will be a significant year for the Weichai-Ballard joint venture. And, now, number one. The single most important development in the fuel cell industry relating to motive transportation applications in 2018 was the emerging recognition of the value proposition for FCEVs in medium-duty and heavy-duty motive applications. Let me explain. Medium-duty and heavy-duty vehicles, including commercial trucks and buses, emit a disproportionate amount of GHG emissions. Emissions from heavy-duty vehicles grew by more than 35% from 1990 to 2010. And they continue to rise. 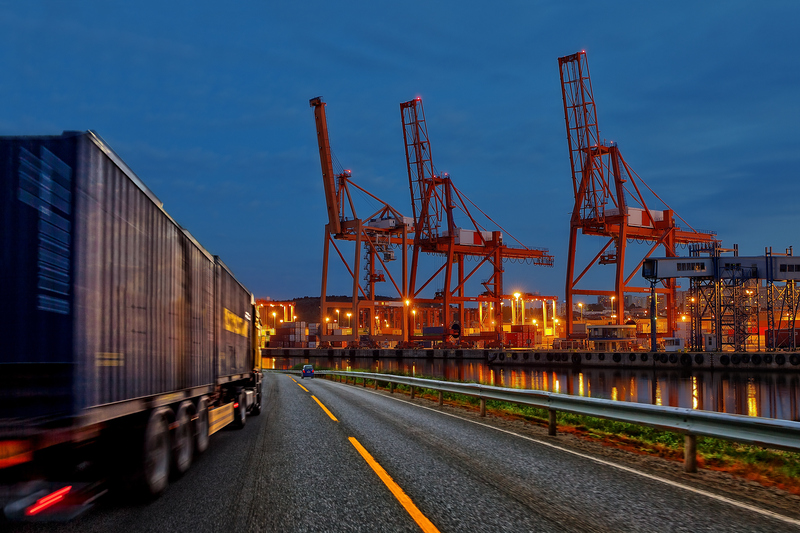 With a billion more people projected to be living in cities by 2030, and with e-commerce growing rapidly, freight volumes are projected to grow 40% by 2050. This means there will be many more commercial vehicles on the road. Most NOx comes from transport, especially diesel motors. 74% of heavy duty trucks on the road today are not up to the latest NOx emission standards. Buses also have disproportionate emissions. As an example, a single bus running 16 hours a day emits as much as 50 tons of CO2 per year—equivalent to 25 medium sized passenger cars. As another example, in a 5-year period, one fuel cell bus operating in California removed 1,134,000 lbs of CO2 from the atmosphere, which is equivalent to planting 13,189 trees and equivalent to taking 108 passenger vehicles off the road for one year. We believe there are large and attractive addressable markets and use cases for medium- and heavy-duty motive applications – such as city buses, coaches, delivery trucks, drayage trucks, long-haul trucks, train, tram and certain marine applications – where FCEVs will offer a strong value proposition. These vehicles require long daily range, fast refueling and heavy payload, while also enabling zero-emissions. The early adoption markets should be where the value proposition is strongest and where the hydrogen refueling infrastructure can be addressed with centralized, depot refueling. We view these markets as ripe for disruption. Increasingly, others are joining the chorus and starting to agree. We are seeing the early signs of disruption with regulators, fleet operators and OEMs in the bus, commercial truck and train markets. Indeed, the Hydrogen Council has set targets for 350,000 commercial trucks, 50,000 buses and thousands of trains in 2030, and for 12 to 20 million commercial trucks, 5 million buses and 20% of trains in 2050. Many progressive national, state, provincial and city governments in North America, Europe, China, Japan, South Korea and India will have enacted legislative roadmaps that will require all new city buses, school buses, drayage trucks and delivery trucks to be zero-emission vehicles. This means that vehicles in these classes that are powered by diesel engines will be banned. Some of these governments will have also enacted legislation to ban, restrict or tax new passenger cars that are not zero-emission (e.g., cars powered by internal combustion engines). Many jurisdictions will be planning to introduce carbon taxes that start to put a cost on the externalities of burning fossil fuels in vehicles, including the externalities of climate change, air pollution, health costs and energy security. There will be unprecedented and accelerated scaling of FCEVs for various use cases for bus, commercial truck and train. Many leading bus OEMs, commercial truck OEMs and train OEMs will have compelling fuel cell offerings that deliver zero-emissions and high customer value on a total cost of ownership basis. Fuel cell engines will be highly integrated into the electric powertrain with optimized fuel cell-battery hybrid architectures. The fuel cell engines will feature more than 98% reliability, more than 30,000 hours of durability, stack power density greater than 4.0 kW/L, with upfront system capital costs that are over 75% lower than today. There will be many new tier-one suppliers offering a reliable and cost-effective balance of plant components. Globally, there will be more than 100,000 commercial FCEVs in operation (primarily medium- and heavy-duty trucks and buses). Clear line of sight on the adoption of fuel cell electric passenger cars in high-utilization use cases (think shared mobility and fleets) to be 3% of all new cars by 2030. The next generation of fuel cell powered forklifts will start to enjoy high penetration in this market segment. Leading manufacturers of forklifts will offer “purpose-built” fuel cell forklifts and other industrial trucks in North America, Europe, China and Japan. Total install base will exceed 150,000 fuel cell powered forklifts in operation. Early commercialization of fuel cell technology in certain off-highway, marine, aerospace and drone applications. Leading publicly-traded fuel cell companies will be reporting profitability. Ballard will be at the center of this transformative disruption, with the world’s leading PEM fuel cell MEAs, stacks and engines for these motive applications. We believe FCEVs will offer a strong value proposition in the medium- and heavy-duty motive markets given the advantages of zero-emissions, long range, fast refueling, and heavy payload. Many of these use cases also feature centralized, depot refueling. For many of these use cases, the decarbonization benefits are powerful. We also believe FCEVs will be a long-term winner in the zero-emission passenger vehicle market in certain use cases. We see a changing paradigm – enabled by autonomy, connectivity, electrification and shared mobility – where passenger cars will have significantly higher utilization, with higher daily driving ranges and hours of operation. These use cases will strain the boundaries of battery capabilities in terms of range and re-charging time. At Ballard, we are convinced that hydrogen fuel cells will offer economically viable, financially attractive, and socially beneficial solutions. We believe that in certain sectors and regions, hydrogen represents the best way to enable the energy transition and improve urban air quality. 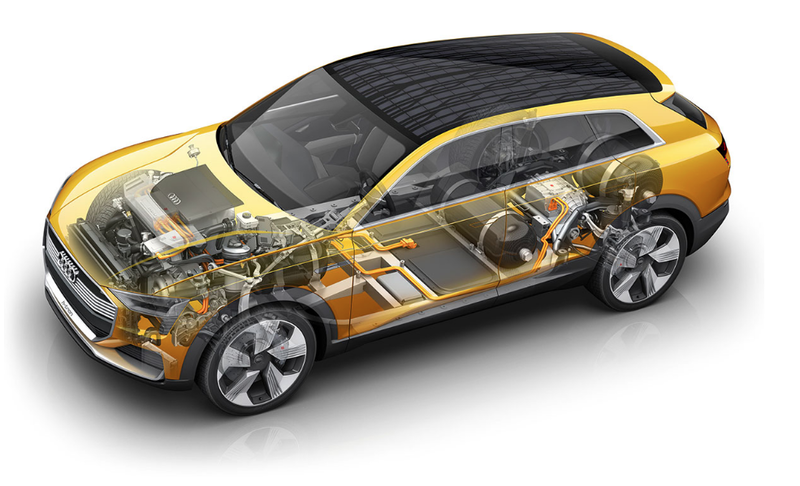 What developments are you expecting in 2025 for fuel cell transportation? Let us know in the comments below.